Windows Operating system comes preinstalled software for installing and uninstalling of software. You can also install or uninstall any software in safe mode without any third party software. Wise program is a Free and simple tool which removes an unwanted program from your PC. It comes with some extra features. Wise program is portable and takes very less space on your PC. It is free from crapware and toolbars. Wise Program will scan your PC fully and list all the installed program. 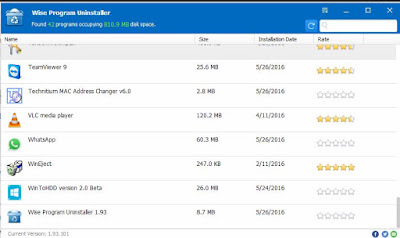 It tells details of programs like size of program, date of installation and its rating. It will show you total number of apps on your PC and space occupied by them. Here you will find two options for uninstalling of any software i.e. Safe uninstall and Forced Uninstall. Safe Uninstall feature is advised to use with Wise Program Uninstaller as it uninstall an app without putting your PC at risk. It process through a set of path and removes all related files and folder. While Forced Uninstall removes any app forcefully and may affect functionality of related apps. This method is to be used only when a program is not uninstalling by method illustrated above. “Modify” option can be chosen to repair an app instead of uninstalling. 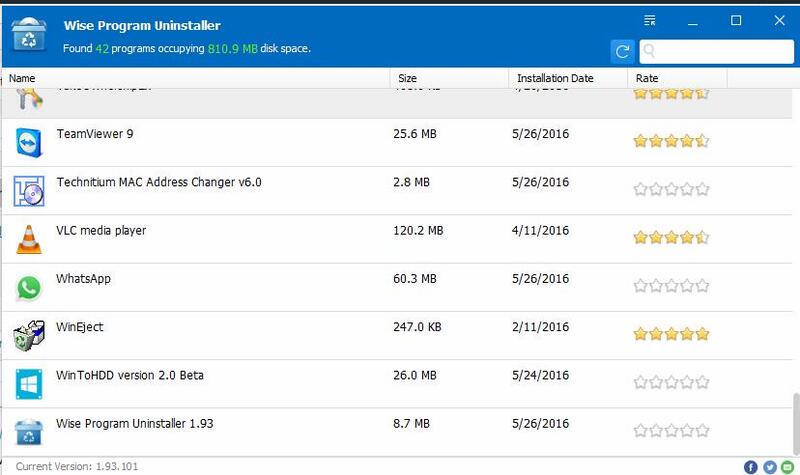 Wise Program Uninstaller is a free and easy to use software with user-friendly interface. You need not have technical knowledge to use this software. This software can be used with Windows XP, Vista, Win7, Win8 and Win10 operating system. You may like How to do partition, Data recovery and backup of Windows 10 with PartitionGuru.